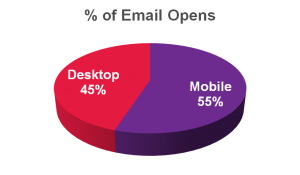 New research from Yesmail in 2013 shows that for the first time ever 55% of emails opens come from mobile devices. 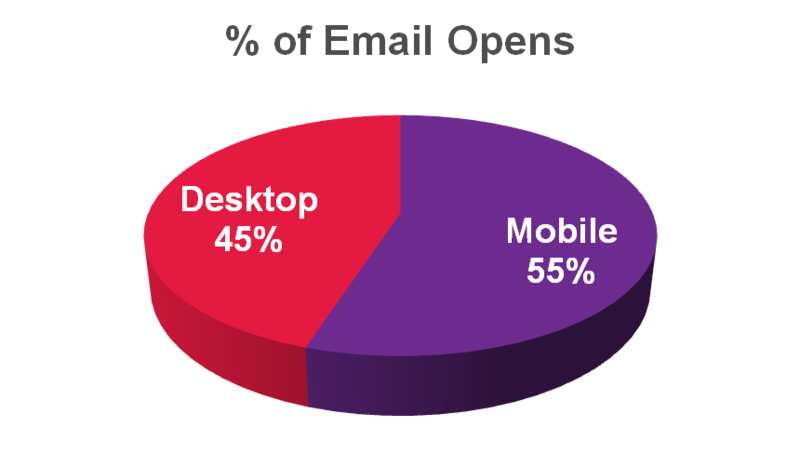 Fifty-five percent of all emails are now opened on mobile devices. I think most people in the industry saw this coming and the trends suggest continued growth in that direction. No longer can we continue to use the same email templates and ignore their incompatibility with mobile devices. We recently published 7 new templates to our system that we have tested for mobile compatibility. Look for templates named with -M as an indicator that they are mobile compatible.